Back to eating for this reason to be cheerful. And also, in a sense, back to childhood. J is for jelly. 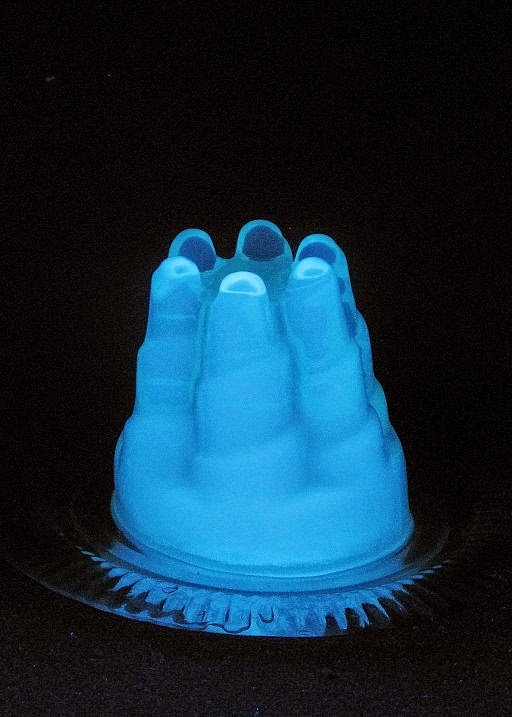 A glow in the dark jelly. It's probably just as well at this stage to do a bit of what Wikipedia calls disambiguation. The jelly I am referring to is the slightly wobbly, gelatinous fruity concoction which is a must at children's parties, especially if served with ice cream. I am not talking about what I understand Americans call jelly, which I would call jam. There, is that clear? Having said that, it has been pointed out to me by Mrs C that if a British person made jam and strained out the fruit pieces the product would be called jelly rather than jam. It's confusing up to a point, but I suppose the thing to bear in mind is that we are talking about nice things to eat. In my book, jelly must taste strongly of the fruit it contains and its consistency must be just so. Not too firm, not too runny. It should also be the case that if the jelly was made in a large bowl from which portions are being served the spoon taking the jelly from the large bowl ought to make a farty sound. As I said, jelly is something I associate with children's parties, so it puts me in an immature frame of mind. Probably only one bit of music that should go with this post and that's It Must Be Jelly Cause Jam Don't Shake Like That. Question: Do you like jelly? If not, what food must a children's party have to be successful? It worked! Go on, have some jelly. Mrs C made some jelly using juice from mandarins from a friend's tree. It was delicious. The farty sound is a bit of bonus with jelly. Glad you liked the music. 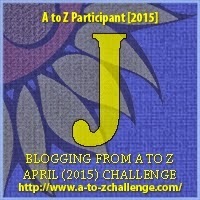 Strangely enough I've seen Jello as a J on someone else's A to Z entry. Dont think we would really celebrate a children's party with jelly unless it was on bread. Cake's good. I can go with cake at parties.